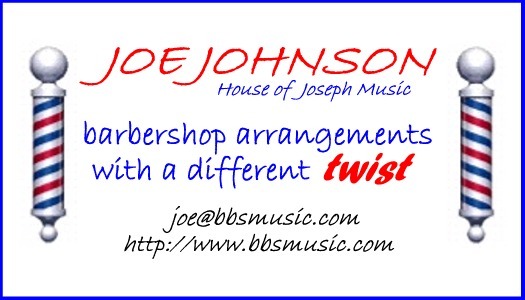 I'm Joe Johnson, your humble host, an arranger and songwriter in the Barbershop Harmony Society. I have been involved in music in various ways for most of my adult life, having served as a trombonist and arranger in the Air Force Band, a bass player in many jazz and rock bands, a choral singer, and a pianist and choir director in my church. Having a consuming passion for arranging, I have written music for many of the groups in which I have performed. Since joining the Society in 2001, I have been learning to apply my arranging skills to the barbershop style. I attended Harmony College in 2002, where I studied advanced arranging and songwriting with Dr. Val Hicks, and I have had the privilege of being tutored by many of the greatest barbershop arrangers. In 2003 I was selected as a winner in the Lou Perry Arranging Contest. My music has since been sung by many quartets and choruses, including Realtime, Max Q, the Masters of Harmony, 12th Street Rag, Saturday Evening Post, State Line Grocery, Wheelhouse, High Definition, the Saltaires, the Minneapolis Commodores, the Music City Chorus, the Nashville Singers Chorus, and the Atlanta Vocal Project. On this site you will find a partial listing of my available works, with an audio file for each one. I will gladly send preview copies of any of them on request. 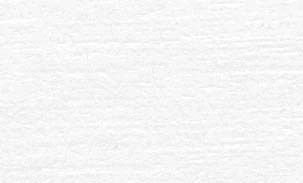 On the Sacred Music page, I have a collection of creative hymn and gospel arrangements intended primarily for traditional worship services. Many of them are also appropriate for barbershop shows and singouts. They are all free, and may be downloaded complete with learning tracks. These arrangements may be copied, performed, and recorded for any non-commercial use. Please enjoy ... this is my labor of love! Most of these arrangements are also available on the Barbershop Harmony Society website, www.barbershop.org. As of July 2013, they have been downloaded over 74,000 times. I also maintain a mailing list of friends who wish to receive announcements of my new arrangements. If you would like to be included, please let me know.